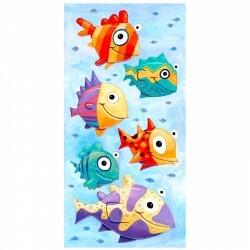 > 3D Art Graphics>Frame size: 13.2 x 23.4 inches / 33.5 x 60 cm. Giclée Print on Fine Art Paper: "Oceans 11"
Frame size: 13.2 x 23.4 inches / 33.5 x 60 cm. There is 1 product. 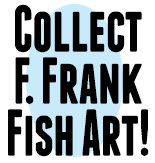 3D Graphic: "Six Colorful Fish"
Multilayered, pop-up 3D Art Graphic by artist F. Frank. Frame size: 13.2 x 23.6 inches / 33.5 x 60 cm.Limited edition of 99. Black wooden frame, white matte and glass.Hand signed, dated, numbered, titled with Certificate of Authenticity. We ship worldwide.